Please Give Me My Discount. I am Older! 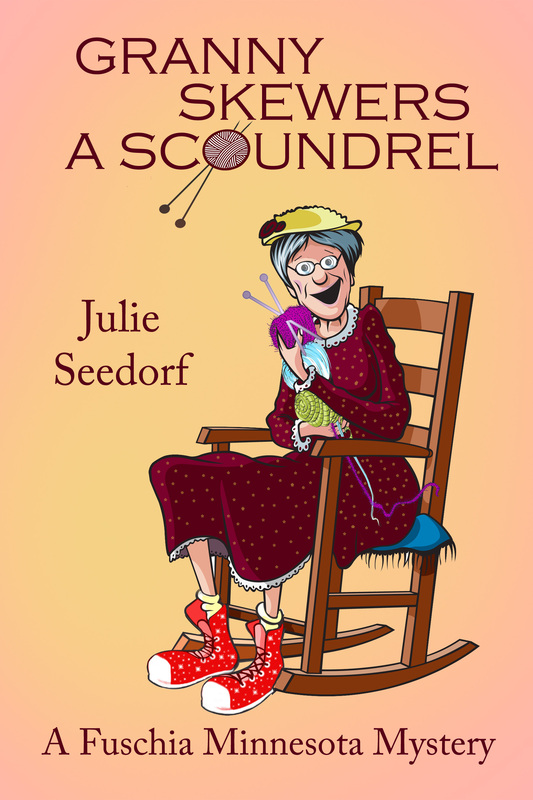 Something About Nothing by Julie Seedorf- Published in the Albert Lea Tribune and Courier Sentinel week of March 24. It might surprise you know to know I am a senior citizen. All right, it’s no surprise because I am always telling you I am old. I happen to like being a senior citizen. I became a senior citizen at the age of 55 when I could order off of the senior menu at Perkins Family Restaurant. I loved it. It was great to get a few benefits for growing older. One of the perks of growing older are senior citizen discounts. I have heard the arguments against these discounts because many people think senior citizens have a lot of money and don’t need the discounts. I suppose that is opening a can of worms. There are many senior citizens who struggle to make ends meet. They worked hard all of their life, paid in to Social Security and worked at a time where there were not retirement accounts. They did what they had to do to put food on their table for their family. There wasn’t any extra to save for that retirement. Many salaries were not what they are today even if you were a business owner. Senior citizen discounts are very valuable to these people. I was 55 nine years ago. You can do the math to figure how old I am now. I haven’t in all those years thought too much about senior discounts until recently. I wasn’t aware of all the discounts out there for seniors. I was aware that my local grocery store, Wells Marketplace Foods, offered a discount for senior citizens on Wednesdays. They are very good about applying that discount without us asking for it on Wednesday. I knew Wednesdays were a big day for those who live in our Broadway Apartments complex as the occupants must be over a certain age to live there. Wednesdays is grocery day for the older generation in my community. I knew the new Kiester Market offers senior discounts, too. I happened to be in Mankato on a Tuesday and visited their local Hy-Vee store. I presented my coupons to the clerk, I am a coupon shopper and the clerk asked me if there were any other discounts. I looked at her with a confused face and she leaned forward so as to not embarrass me or her, just in case she was wrong, if I wanted to apply my senior discount. Of course, I did. Apparently at Hy-Vee in Mankato Hilltop and downtown they have two days where they offer senior discounts. I believe they are Monday and Tuesday. I started thinking about all the discounts I might be missing. I started asking around. Juba’s in Blue Earth quit senior discounts in favor of spreading the discounts around in the place of discounts on gasoline. The Hy-Vee in Owatonna offers senior discounts on Tuesdays. Hy-Vee in Albert Lea and Austin does not offer senior discounts, nor does Nelson’s Market Place. They may have other offers in place that I do not know about. However, Hy-Vee Wine & Spirits in Albert Lea does offer a senior discount. Check with the store for the day. I have started asking each business I visit and make a purchase if they have senior discounts. I learned that at most places you have to ask. I have received a senior discount at Applebee’s and found out that starts at age 60. I could have had savings for many years as I dined in their establishment. I didn’t ask. Cost Cutters, a movie theater, Michaels and Herberger’s are a few other places that gave me a discount recently. Discounts vary by city and state. Many companies leave their discount plans up to local stores which is the case with the Hy-Vee chain. It is no secret that I am doing freelance writing work and recently I have been asked to do a column twice a month called “Senior Cents” for one of my gigs. I am excited to find out what all is out there for someone that is “older.” I will be researching restaurants, hotels, businesses and Internet for what is available for seniors in the southern Minnesota area. I am excited to be able to help senior citizens save a little money and hopefully along the way I will meet many new people like myself. We’re not getting older; we’re getting better and having fun doing it. Previous You’ve Linked to Me, Now What Do I Do? Next Granny’s (Hermiony Vidalia Criony Fiddlestat) At It Again!